S1.1 Who Were The Wisemen? This episode covers the Midianites, a group referenced in Genesis Chapter 37 as the traders who sold the young Joseph to Egypt. In the episode, I cover their history as found in the Old Testament and outside sources. I also cover their forefather, Midian, the fourth son of Abraham and his wife Keturah. Give up a few minutes of your time and listen, I’m sure you’ll learn something you didn’t know. Next week, I’ll cover the concept of She'ol as well as what we know about Potiphar. I also will inform of the role of a cup bearer. This episode covers the Ishmaelites, the people to whom Joseph was sold by his brothers. Also, they were the decedents of Ishmael, Abraham’s son. I’ll cover their history as found in the Bible, as well as outside sources. Also, the relationship between the Ishmaelites and Islam is explored. I also touch on the city of Dothan. Finally, I explain what a sheave of grain is. Give up a few minutes of your time and listen, I’m sure you’ll learn something you didn’t know. Next week, I’ll cover the history of the Midianites and the concept of She'ol, both found in Genesis Chapter 37. If time permits, I’ll cover Potiphar, too. After listening, let me know what you think. Today the 65th episode of the second chapter was published on Blubrry and is also available on iTunes. This episode covers the history of Edom as found outside of the Bible. Also, I cover Mt. Hor and the Horites, both what’s in the Bible and from outside sources. I also provide an extensive summary of Genesis Chapter 37, which is a turning point in the Old Testament narrative. Give up a few minutes of your time and listen, I’m sure you’ll learn something you didn’t know. Next week, I’ll cover the outside history of Edom and continue working through Genesis 36. You don’t want to miss it. After listening, let me know what you think. This episode covers the history of the people and places found in Genesis Chapters 35 and 36. Specifically, the tower of Eder, Paddan-aram, and Kiriath-arba. Also, I get started on the history of Edom, at least the references to it in the Old Testament. Give up a few minutes of your time and listen, I’m sure you’ll learn something you didn’t know. Next week, I’ll cover the outside history of Edom and continue working through Genesis 36. You don’t want to miss it. After listening, let me know what you think. So you think you know the history of Bethlehem? Well, there’s little doubt you’re familiar with the events of two millennia ago, but what about a thousand years before that? Or the events during and following the Islamic conquest and the Crusades? Give up a few minutes of your time and listen, I’m sure you’ll learn something you didn’t know. Next week, I’ll cover the history of the remaining places in Genesis 35, including Hebron. You don’t want to miss it. After listening, let me know what you think. This week I cover the history of Ugarit, the port city located on the western shore of the Mediterranean, in the modern country of Syria. While Ugarit was not mentioned directly in the Old Testament, its history corresponded with the events of Genesis 35, therefore I’m covering it this week. I walk through the ancient history, the modern archaeology, its language, and its culture. Next week, I’ll cover the history of Bethlehem. You don’t want to miss it. After listening, let me know what you think. This week I cover the history of the people and places in Genesis chapters 33 through 35. In this episode, I cover the history of the towns of Peniel, Succoth, and Luz. I also work through the mountain(s) of Hermon. Listen to find out why that may not be a single peak. Next week, I’ll cover the history of Bethel. You don’t want to miss it. After listening, let me know what you think. This week I cover the history of the people and places in Genesis chapters 32 and 33. In this episode, I cover the history of the Seir Mountains and the town of Shechem. Next week, I’ll pick up in the middle of Chapter 33 and go through the end of Chapter 35. You don’t want to miss it. After listening, let me know what you think. This week I work my way through several chapters of Genesis, specifically 29 through the middle of 32. In this episode, I cover the history of Haran, both the place and the man. Also, the region of Gilead, a place called Mahanaim, and the Jabbok River. Next week, I’ll pick up in the middle of Chapter 32 and go through the end of Chapter 33. You don’t want to miss it. ' After listening, let me know what you think. This week I finish the history of the Arameans, the second of two episodes. In this episode, I cover their history from the beginnings as nomadic herders, through their on-going conflicts with the Assyrians and then Babylonians, through the Greeks, Romans, and Arabic Muslims. Next week, I’ll cover the history of the many places and groups as found in Genesis chapters 29 through 31. You don’t want to miss it. After listening, let me know what you think. This week I begin the history of the Arameans, the first of two episodes. In this episode, I cover their history as presented in the Old Testament as well as their language and religion. Next week, I’ll wrap up their history. You don’t want to miss it. After listening, let me know what you think. This week I cover the peoples and places found in Genesis Chapters 24 through 28. Specifically, Aram Naharaim, Nahor, Havilah, Shur, Gerar, Abimelech, Esek, Sitnah, Rehoboth, Shiba, and Paddan Aram. Next week, I’ll begin the first of probably two parts on the Arameans. You don’t want to miss it. After listening, let me know what you think. This week I wrap up the history of the Hittites, with the 4th part of the miniseries. This episode focuses on what has become known as the New Kingdom of the Hittites as well as the several centuries following its collapse. Next week, I’ll cover several smaller places found in the middle of Genesis. You don’t want to miss it. After listening, let me know what you think. This week I continue the history of the Hittites, with the 3rd of 4 parts. This episode focuses on the several centuries of the Old Kingdom as well as the 100 or so years of their dark age, which has become known as the Middle Kingdom. Next week, I’ll wrap up the Hittites with a dive into their New Kingdom and decline. You don’t want to miss it. After listening, let me know what you think. This week I continued the history of the Hittites, a series that will last a few episodes. This week, I cover the archaeological history, the process of translating the documents, and their prehistory. Next week, I’ll start with the Old Kingdom. You don’t want to miss it. After listening, let me know what you think. This week I began the history of the Hittites, a series that will last a few episodes. This week, I cover who they were in the Bible, their language, and three theories on their origins. Next week, I’ll begin their history, focusing on the group in Anatolia. You don’t want to miss it. After listening, let me know what you think. This week I wrap up the history of Hebron. This week covering from the ouster of the Crusaders in the 12th century AD through the modern era. In doing so, I spend a great deal of time on both the Islamic era and the 20th century. Next week, I’ll start the history of the Hittites. You don’t want to miss it. After listening, let me know what you think. This week I covered the history of Hebron. Well, the first part, through the middle of the Islamic era. Hebron, like many of the other cities I’ve covered recently, was first mentioned in the story of Abraham, and appeared throughout the Old Testament narrative. Hebron was where David was twice crowned and is believed to be the final resting place of three of Judaism’s founding fathers. Who is allegedly buried there? Listen and find out. Next week, I’ll wrap up the history of the Hebron. You don’t want to miss it. After listening, let me know what you think. This week I covered the history of Beersheba. Beersheba was first mentioned in the story of Abraham, and appeared throughout the Old Testament narrative. It was an oasis in the desert and experienced rapid growth in the second half of the 20th century AD. But what happened in between? Listen and find out. Next week, I’ll cover the history of the Hebron. You don’t want to miss it. After listening, let me know what you think. This week I covered the history of the Philistines. The Philistines were first mentioned in the Table of Nations, but are best known as the persistent antagonists of the Israelites. Who were they really, and what does the outside record say about them? What were their interactions with other countries, like Egypt. Why did the essentially disappear. Listen and find out. Next week, I’ll cover the history of the Beersheba. You don’t want to miss it. After listening, let me know what you think. This week I covered the history of both Ammon and Kadesh. Ammon would eventually become Amman, the capital of the modern country of Jordan. The Ammonites always had an adversarial relationship with the Israelites. Kadesh, was located in what is now Syria and little can be found in the extant historical record. Next week, I’ll begin the history of the Philistines. You don’t want to miss it. After listening, let me know what you think. This week I wrapped up the history of Moab. I cover the geography of the area and how that led to its development. Also, the parallels between its known history and that found in the Old Testament. Finally, the demise of the area is touched on. Next week, I’ll cover the history of Ammon. You don’t want to miss it. After listening, let me know what you think. This week I begin the history of Moab. Well actually, almost the entire episode is on the Mesha Stele and its parallels to 2nd Kings Chapter 3. The exploits of the King of Moab against the allied Israeli tribes is covered. Next week, I’ll cover the history of Moab in full. You don’t want to miss it. This week I cover the latter portion of the Syrian Islamic history of Damascus, essentially covering the period from about the year 1000 AD to the present day. I also touch on the geography and climate of the city. Next week, I’ll cover the history of Moab. You don’t want to miss it. After listening, let me know what you think. This week I cover the Islamic history of Damascus, essentially covering the period from the end of the Roman era until about the year 1000 AD. I also dive into the Islamic Caliph al-Walid and how such rulers impacted the history of the region. Next week, I’ll wrap up the history of the city of Damascus. You don’t want to miss it. After listening, let me know what you think. This week I cover the ancient history of Damascus, journeying from pre-history to the end of the Roman era. I also touch on radiocarbon dating and Greek city design. Next week, I’ll cover the history of the city of Damascus from the Islamic era through the modern age. You don’t want to miss it. After listening, let me know what you think. This week I cover the modern history of Syria, focusing exclusively on the events of the 20th century. 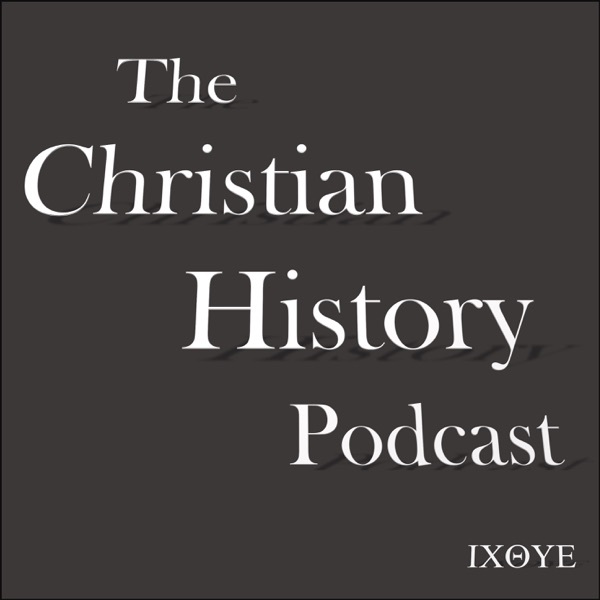 While this may seem like a departure from the mission of the podcast, this period continues to impact the unfolding history of Christianity. Next week, I’ll cover the history of the city of Damascus. You don’t want to miss it. After listening, let me know what you think. This week I cover what is essentially the recorded history of Syria from about 3000 BC to the 20th Century AD. Syria is mentioned throughout the Old and New Testaments and I’m working it in here because it was part of the Battle of Siddim narrative. Given that more comprehensive records are avaible the closer to the current period we draw, a great deal of attention is placed on the first half of the 20th century in Syria. I also touch on the Ottomans, Akkadians, Egyptians, Muslims, Mongols, and the Crusaders. Next week, I’ll wrap up the history of Syria. You don’t want to miss it. After listening, let me know what you think. S1 Who Were The Wisemen?